← When should you upgrade your machine? To date I have been using Silo for most of my polygon modeling. Today I gave Blender 2.3 a try with BMesh and it was wonderful. Not only did I get BMesh, but I also downloaded a 3Delight exporter from Matt Ebb that worked fairly easily. 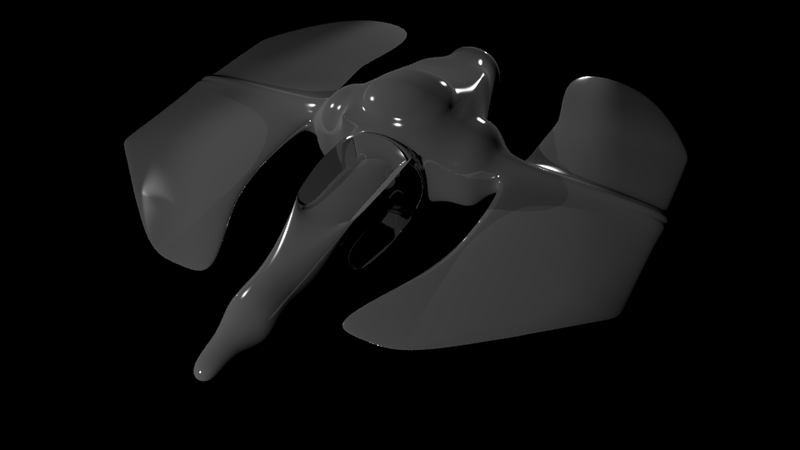 Here is a 5-15 minute space ship mesh sketch that I whipped up to test 3Delight and BMesh. I’m going to try and focus a bit more on my art skills in the next few weeks. This entry was posted in Art, Speed Modeling and tagged Blender, game art, igamemaker. Bookmark the permalink.